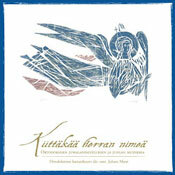 Commemoration of the dead, in Finnish language. 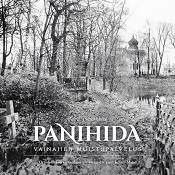 Slavic orthodox funeral service in Finnish language. Priest: very rev. Leo Iltola. Slavic orthodox wedding service in Finnish language. Priest: rev. Teo Merras. 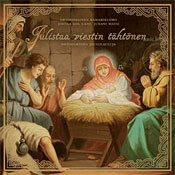 Slavic orthodox Christmas carols, kolyadas, arranged into the Finnish language. Soloist: Sanna Heikkinen. 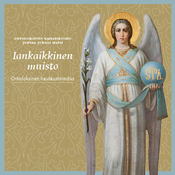 A selection of liturgical hymns from the Valaam monastery, performed in Finnish by the male singers of the Orthodox Chamber Choir. 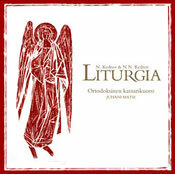 The CD includes Orthodox liturgical music composed by A. Krasnostovskij (1880-1967) and L. Bashmakov (1927-) and other compositions of church music. Soloists: Sonja Blomster, Sanna Heikkinen, and Jaakko Olkinuora. 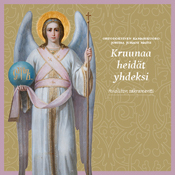 An anthology of church music for the Divine Liturgy, composed by Nikolai (1871-1940) and Nikolai Nikolaevich (1905-1981) Kedrov, arranged from the Church Slavonic into the Finnish language by dir. cant. Juhani Matsi. CDs can be purchased directly from the choir. 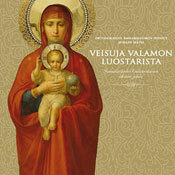 Price: CD á 20-22€ + postage. Please contact Ms Maria Takala-Roszczenko(takalam(at)gmail.com).